In today's legal, policy and business worlds, international human rights law affects the way all of us work, either explicitly or implicitly. 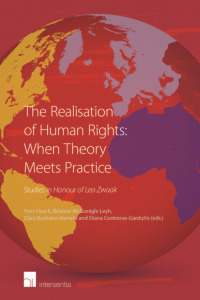 A knowledge of international human rights standards is increasingly required. Therefore those involved in the legal professions - whether as barristers, solicitors, employed lawyers or judges - and those involved in government, public policy and business, need to have a solid understanding of the breadth and depth of human rights principles. So too do increasing numbers of those involved in NGOs and in civil society work generally. 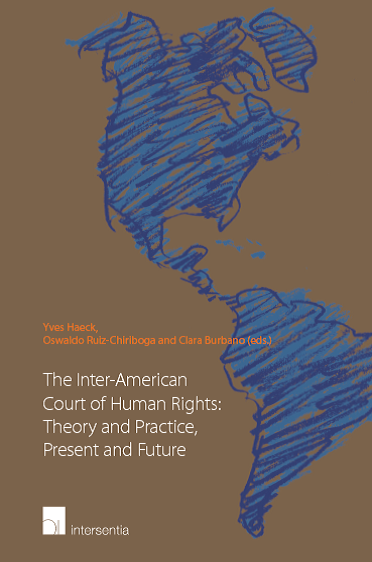 International human rights law is a subject that barely featured on university curricula just a few years ago, and it remains hard to find guidance on the subject that is easily accessible, clear, authoritative and up-to-date. The short course on International Human Rights Law and Practice will provide an indispensable guide to this burgeoning field of law. A certificate of attendance from the Centre for the Study of Human Rights at LSE will be awarded to those who have successfully completed the course. Voters around the world expect electoral administrators to possess the management skills to undertake a complex civilian operation, the political savvy to relate to parties and candidates, and, above all, a strong sense of ethics and integrity to conduct a fair process. The Master in Electoral Policy and Administration (MEPA) is intended to make a global contribution to such professionalization implementing, as a first pilot project, the Model Curriculum designed by International IDEA. In March 2013, International IDEA invited a group of distinguished experts from different world regions to discuss curriculum development for an electoral master programme. The initiative propelled the development of the International IDEA Model Curriculum for MEPA. Scuola Superiore Sant'Anna is the first institution to pilot this Model Curriculum. Its relies on the concept of the electoral cycle and is composed of 18 main topics. The aim of the EIUC Training Seminar for International Electoral Observers is to introduce civilian staff to the profession of election observers and to deliver a complete theoretical and practical basic course to those willing to consider election observation as a possible professional step in their career. The training seminars for International Electoral Observers have been granted the patronage of the Italian, the Spanish and the Czech Ministry of Foreign Affairs. The Refugee Law Initiative, School of Advanced Study, University of London is excited to announce its new distance learning MA in Refugee Protection and Forced Migration Studies. Sutyajnik is a non-governmental human rights organization founded in Yekaterinburg, Russia in 1994 to help citizens and organizations realize rights guaranteed in the Russian Constitution and international treaties by litigating public interest cases, educating in human rights, and informing the public about the mechanisms for human rights protection. One of Sutyajnik’s principal goals is to defend human rights by working to bring domestic legislation and practice into conformity with international and constitutional standards. Sutyajnik is organizing weeklong training on building and managing strategic litigation campaigns. The Human Rights Law Centre at the University of Nottingham offers human rights short courses for graduate students, government officials, lawyers, human rights field workers, NGO and IGO personnel and others with an interest in human rights at an international or national level, and gives a full overview of international human rights standards in practice, around the world. • a one term course twice a year (25 September to 5 December 2014 and 8 January to 20 March 2015) which provides in-depth knowledge and understanding of UN and regional human rights systems by faculty and visiting lecturers who have experience of the systems in practice. • a two term course beginning in September/October in which the second term is spent in a human rights internship in an IGO or an NGO. • online distance learning courses. There are nine modules to choose from, including UN Human Rights System, International Criminal Justice and Economic, Social and Cultural Rights as well as the Rights of the Child and Women’s Rights which are new modules available from September 2014. Each module lasts eight weeks.